Sew, you're ready to buy your first sewing machine. Or maybe you've outgrown your current machine and are looking to upgrade. The problem is, there are so many types of sewing machines on the market, it can be hard to know what you need. But you do know what you want, right? Well, maybe you do, and maybe you don't. The fact is, there's not just one kind of sewing machine. The number of types of sewing machines has exploded and continues to grow. And let's not even start with options and add-ons. Getting the wrong one could be a huge disappointment as well as a costly mistake. Sew, how do you decide? When it comes to sewing, who are you? Do you sew for fun? Do you already have a business? Do you work from home, or are you assembling a factory? These are some of the most important questions you'll face when choosing a machine. Many of the different types of sewing machines come at three levels: consumer (or domestic), semi-pro, and industrial. And you don't want to get that wrong. Consumer, or domestic, sewing machines are what many of us had in the house growing up. It may be what you're working with right now. Well, these machines are made for home and hobby-level use. They often combine functions, as well. For example, your domestic sewing machine will always have a straight stitch function. It will almost certainly do zig-zag stitches as well. You might have a variety of decorative stitches, a buttonhole maker, and possibly a serging stitch. Fancier home sewing machines may have a free-arm for sleeves. They might also have some special features for quilting or even a few computerized embroidery designs. 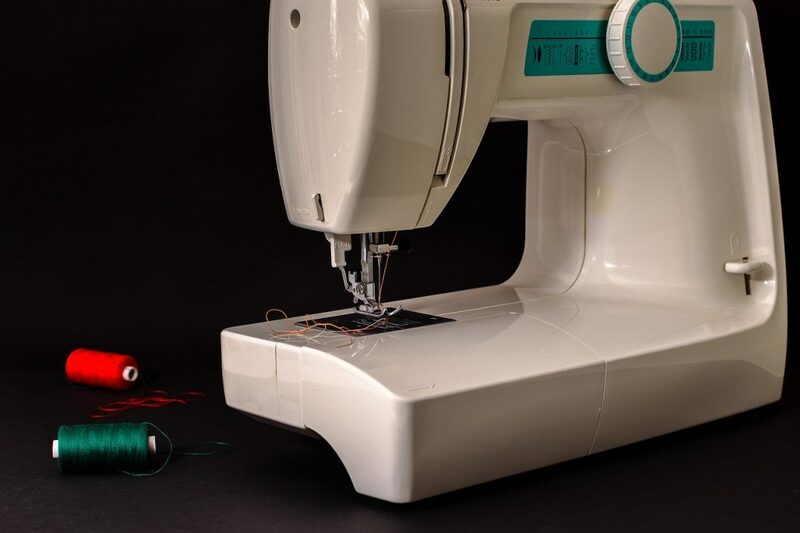 Many home sewing machines can do a little bit of everything — and that's great. A home sewing machine isn't made to run every day, all day long. Your trusty Singer 4452 could give you 20 years or more of reliable hobby-level use if you treat it well. But if you try to use it for your full-time sail-making business, you're going to find yourself shopping for a new machine pretty quickly. This comes down to construction. Domestic sewing machines often have plastic casings and components. This makes them light and portable, but it also makes them too delicate for punishing factory work. Domestic machines also have smaller motors, which are fine for home use but won't stand up to heavy industrial sewing. The tradeoff, though, is that you can get a top-notch domestic sewing machine for relatively little. Like, $350 will buy you a lot of machine — and if you want something simple and durable, you can often get it for around $100. This isn't to say that consumer machines are inferior to industrial ones. They're different. And each is built to a specific purpose. 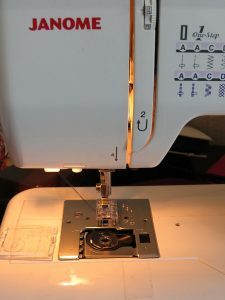 If you're starting a one-person home-based business, or perhaps are a serious, consistent hobbyist, a semi-professional sewing machine may be a good choice for you. You can tell a semi-pro machine by three things: the design, the focus, and the price tag. Consumer sewing machines are often jacks-of-all-trades. They do a little bit of everything. A semi-pro machine is a bit more focused. It will generally do everyday sewing, but will often lean toward one type of craft, like quilting. 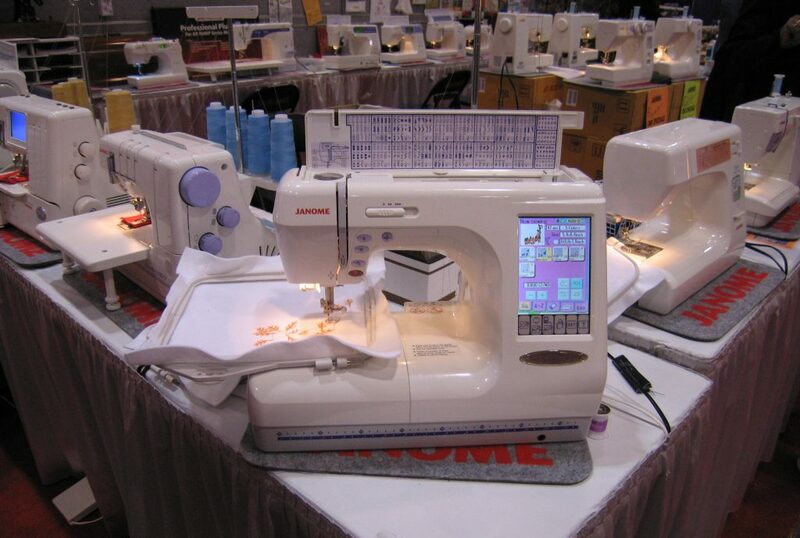 The Janome MemoryCraft 400E is a good example of a semi-pro machine. You can use it for regular sewing, but it has very powerful quilting and embroidery features. It has 160 built-in embroidery designs, for example, and a USB port, so you can import more. But you're going to pay for those features. How much? Well, between $1,400 and $2,500, depending on your retailer. Additionally, a lot of semi-pro machines are dedicated to a single kind of craft. A semi-pro quilting machine, for example, will often have a long table and an extended throat. The long table makes it easier to do free-motion quilting. Extra throat space gives you somewhere to roll up the finished part of your work as you go. 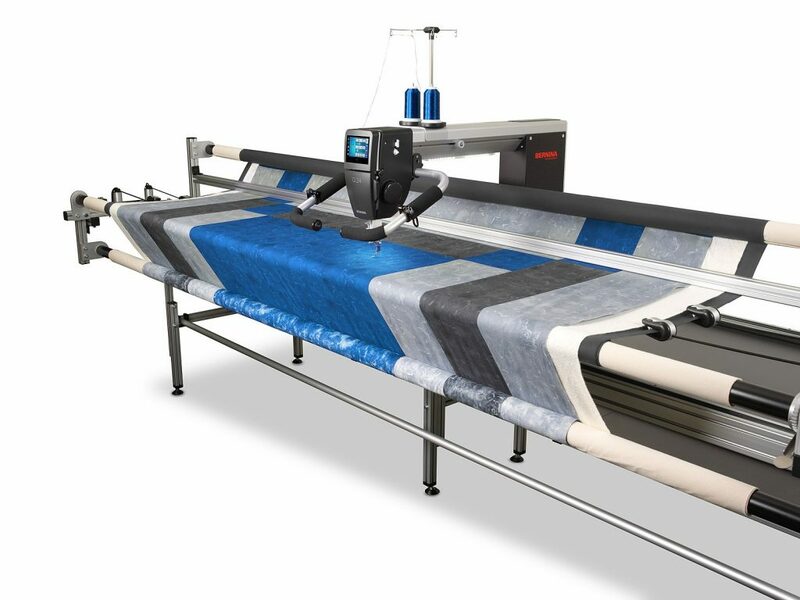 Likewise, a semi-pro embroidery machine will probably do only embroidery, whereas many high-end domestic sewing machines will do regular sewing with a limited amount of embroidery functions. And this brings us to industrial types of sewing machines. 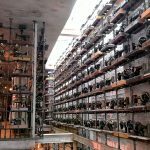 It's easy to tell an industrial sewing machine from domestic and semi-pro types of sewing machines. Well, industrial sewing machines are made to do one thing, to do it reliably, and to do it all day long. They're expensive. Really expensive. But if you're outfitting a factory, that's what you need. Industrial sewing machines also differ in construction. First, they often have durable metal casings and components. This makes them heavy, rather than portable. Next, many are made to attach to a worktable. Finally, most industrial sewing machines of all types will have a powerful, separate servomotor. What types of sewing machines might fall into this category? Unless you're opening a factory or stepping up operations of your small business, you won't need an industrial sewing machine. But don't worry about buying one by mistake. Your local sewing store doesn't stock industrial sewing machines. And even if they did, the price would probably make you think twice about it. Low-Tech, High-Tech, Or Somewhere In-Between? Naturally, different types of sewing machines will come with different technical specs. For example, some are simple, while others have a control panel that looks like the cockpit of an airplane. Does more tech mean a better machine? Buying a sewing machine is like buying a house. This means you need to think about the features you'll actually use. Also, you'll need to think about the level of technology you'll be comfortable with. Mechanical sewing machines have been with us for a long time. This gives you a lot of control, customizability, and flexibility. Mechanical machines also tend to have a simpler interface, which makes them less intimidating for beginners. Many mechanical sewing machines come with a lower price tag. 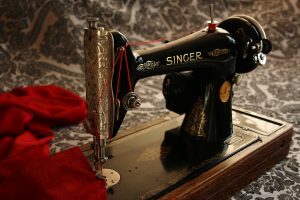 Some mechanical sewing machines also make up for the lack of bells and whistles with heavy-duty all-metal construction. But when it comes to sewing machines, the term has a special meaning. The controls of electronic sewing machines are buttons with preset functions. First, you have less fine control over things like stitch length and thread tension. On the other hand, many electronic machines make up for this with an extended range of stitch designs. Instead of having 10 stitches on a dial, you might have several hundred pre-programmed designs at your fingertips. An electronic sewing machine is more complex than a mechanical sewing machine. But it's not quite as complex as a computerized machine. If you're looking for ultimate flexibility and customizability, then a computerized sewing machine might be just the thing. Today's computerized machines are superb — and superbly high-tech. First, most computerized sewing machines will allow you to download stitch patterns and embroidery patterns from the Internet. You might be able to download them right onto the machine if your machine has a WiFi connection. Or, a computerized sewing machine might have a USB port for easy transfer. Next, many computerized sewing machines have a touch-screen and will allow you to edit both pre-loaded and downloaded stitches and designs right on the machine. Some computerized sewing machines, like the Spiegel 60609 have special features like sew-cams and apps that allow you to view tutorials, make videos, share your work, and more. 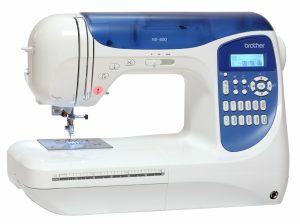 Should you go for a mechanical, electronic, or computerized sewing machine? That depends on your purposes and your comfort with tech. You can find all three of these types of sewing machines at the domestic and semi-pro level — and even a few at the industrial level as well. So now you're familiar with the different levels of machines: domestic, semi-pro, and industrial. You also have an understanding of mechanical, electronic, and computerized machines. Now, it's time to think about a third metric. Of course, a good, general purpose sewing machine can get you pretty far. But if you're serious about a certain craft like quilting, embroidery, or garment-making, then there are some specific features you should be looking at. There are a bewildering number of types of sewing machines on the market. However, only a few are commonly produced for consumer use. These are lockstitch, quilting, embroidery, and overlock machines. When a lot of us think about an all-purpose home sewing machine, we're thinking about a lockstitch. The name comes from the way the stitch is made: with a top thread and a lower thread that “locks” the top stitches in place. Yes, it is. As a matter of fact, it's the only one you want for general use. 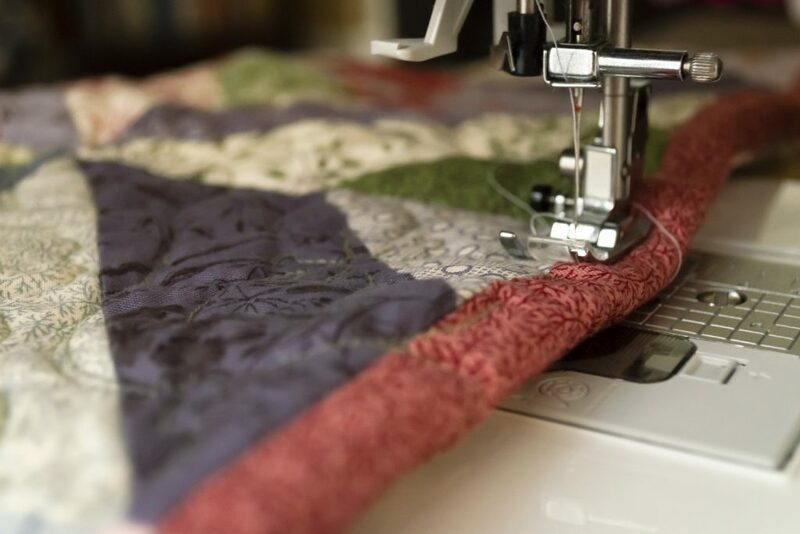 These features make quilting easier and faster. Specifically, they facilitate sewing multiple layers of fabric and batting and moving them easily through the machine. A high-end lockstitch machine may have a selection of pre-programmed embroidery stitches for you to use. On the other hand, if embroidery is your focus, you might want a dedicated embroidery machine. It's a sewing machine that does exclusively, or mostly embroidery. And they can be pretty fancy. The downside is that a dedicated embroidery machine can cost a lot. How much? Try upwards of $1,500 — as a starting point. But if embroidery is your thing — and especially if it's your business — a dedicated embroidery machine is what you need, regardless of the price. Wow. Look at all those spools. How on earth do you thread that thing? This is a question that has bedeviled many a sewing enthusiast, despite attempts to simplify it. Sergers, or overlock machines, look complicated — and they are. At the same time, they're a one-trick pony. They're made for one purpose and one purpose only: binding off hems and seams. You know those professional-looking, no-fray seams inside your favorite t-shirt? Those were made with a serger. 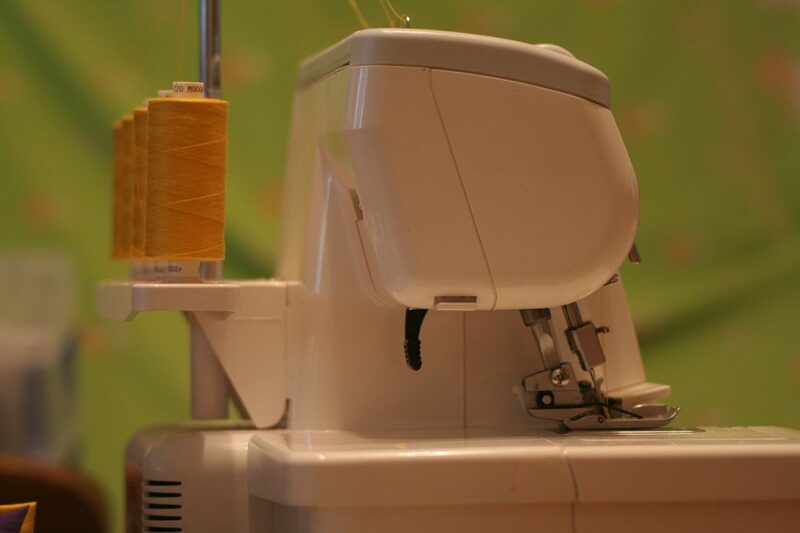 If you do a lot of garment-making, a serger is a great investment. Moreover, you can find them at the domestic, semi-pro, and industrial levels, whatever your needs may be. What makes a serger special? Although you won't be doing “regular” stitching on your overlock, you won't find anything better for binding off edges. Alternately, you might come across some of these dedicated-purpose industrial types of sewing machines. Most of these wouldn't serve you well for general sewing. However, if you're starting a business doing any of these tasks, these are what you would need. 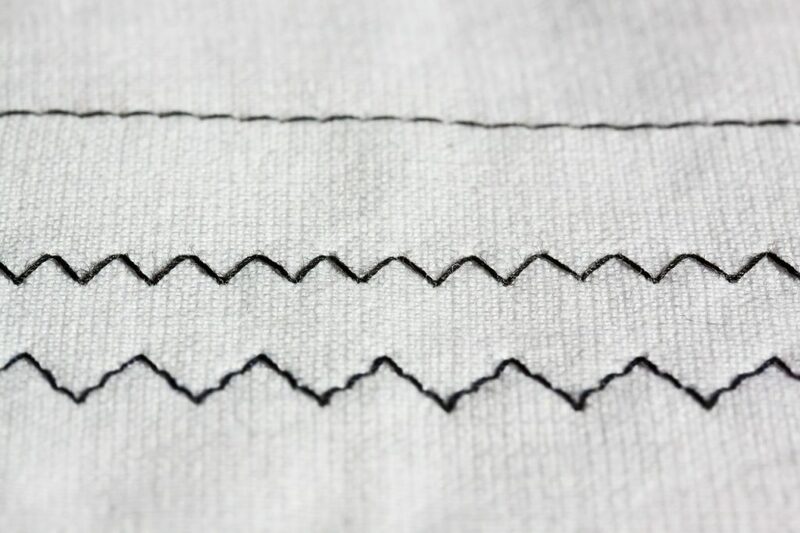 A straight-stitch machine sews straight stitches. That's it. They may have a zigzag function, but then again, they may not. They also typically have a high stitch speed. What do you use that for? Basically, if you're doing a lot of sewing, and it's mostly or all straight stitches, a straight stitch machine is a good investment. Yes, they look intimidating, but unless you're outfitting a garment factory, you probably won't ever need one. As you might expect from the name, a multiple-needle sewing machine sews simultaneously with more than one needle. In fact, it may use a dozen needles at once! Most home sewists won't need one of these. On the other hand, they are kind of cool to look at. Now, do we really need to explain what these do? If you're equipping a garment factory and making, say, button-down shirts, then you'll need a few of these specialized types of sewing machines. Buttonhole machines churn out buttonholes. Button stitching machines make sewing on buttons a fast, automated task. 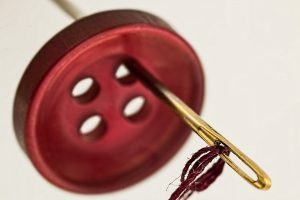 Chances are, though, that for most purposes, the buttonhole maker on your all-purpose home sewing machine will do you just fine. 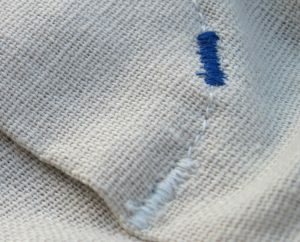 A bar tack is a “bar” of closely placed stitches. Manufacturers use bar tacks to reinforce areas of clothing or other items that take a lot of stress. Almost all general-purpose sewing machines have a bar tack stitch. Therefore, you would probably only need a bar tack machine if you're mass-producing items with one or more bar tacks. Still, it's an interesting idea. Take a look. So now you know what types of sewing machines are out there. And hopefully, also, you have an understanding of what each kind of machine does, and what it's for. Now, ask yourself a few questions. 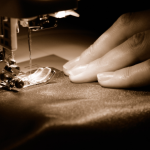 First, do you need a sewing machine for personal sewing, or for your business? Next, are you looking for something basic, higher tech, or on the bleeding edge of connectivity? Finally, are you looking for a sewing machine that does it all? Or do you need one of the types of sewing machines that are dedicated to a single craft? It's time to pick out your new sewing machine. You have your metrics. Now it's time to let your fingers do the walking. Fire up that search engine! Domestic (consumer), semi-professional, or industrial? Lockstitch, Overlock (serger), Quilting, Embroidery, or…? What are the features you can't live without? Are there any features that are essential to your craft? All-purpose home sewing enthusiasts may want an array of decorative stitches. They would also do well to have a built-in buttonhole maker and a variety of buttonhole designs. Quilters will appreciate a large worktable, a longer arm, and an extended throat space. A knee lifter is also a good idea. And they may want a high stitch speed for those long, straight stretches. People interested in embroidery will also want an extended worktable, as well as a hoop that fits with their machine. Also, advanced users may appreciate having the ability to download designs and patterns from the Internet, as well as to edit them on the machine. In computing, “bloatware” refers to built-in apps and programs that take up space, but don't really do the user any good. They may also be advertised as bonus features that justify a higher price tag. 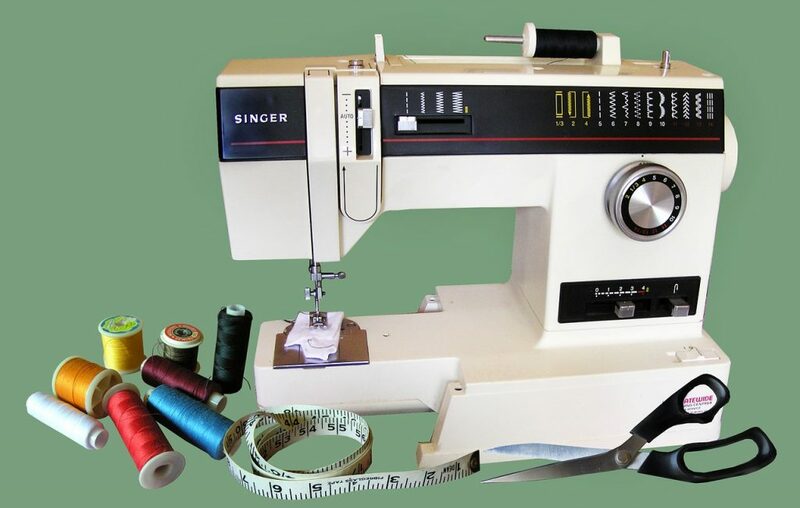 When you're shopping for a sewing machine, you might find that many domestic and semi-pro machines come with impressive-looking accessory packs. How much of those extras are you actually going to use? Is it worth an additional hundred dollars to get a “free gift” of cheap sewing scissors and a few spools of thread with your machine? On the other hand, if a sewing machine comes with a half dozen commonly-used presser feet, this may make the extra money worthwhile. So, what are your must-have features and accessories? Knowing before you shop will make your choice a lot easier. You've heard the names, but what can you expect from them? Every manufacturer is a little bit different. And now that you know what you need, it's important to find a brand that fits those needs to a T.
Singer is one of the oldest sewing machine companies in the world. An American company, it was founded in 1851. Its current headquarters are in LaVergne, Tennessee, near Nashville. And unlike some manufacturers, Singer started out producing sewing machines only, though its parent company currently produces other electricals as well. Singer was the first sewing machine company to incorporate the lockstitch into its machines. Today, the company is best known for producing durable, reliable home sewing machines, although it has, and does produce industrial machines as well. At present, Singer is part of SVP worldwide, which also manufactures the Husqvarna Viking and Pfaff brands. Brother is a Japanese electronics manufacturer. The company was founded in 1908 as the Yasui Brothers Sewing Machine Company. But over the years, it has diversified to include a wide range of products, including printers, machine tools, computers, typewriters, fax machines, and other electricals. a chain-stitch machine used to make straw hats. The company quickly built a reputation for reliability, especially compared to its competitors around the world. 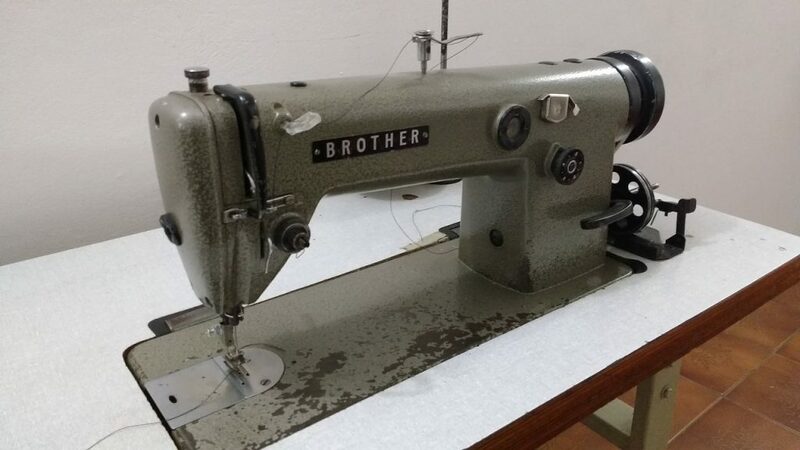 As far as sewing machines go, Brother manufactures well-respected consumer and semi-pro machines in all categories. They also make industrial sewing machines. Bernina International is a Swiss company founded in 1893. It was and remains a manufacturer of sewing and embroidery equipment at the home, semi-pro, and industrial levels. 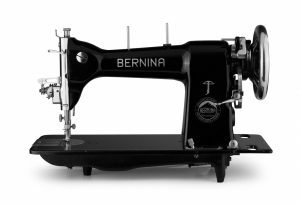 Bernina's founder, Karl Friedrich Gegauf, invented the hemstitch sewing machine, as well as a monogram embroidery machine. Today Bernina produces sewing machines, embroidery machines, overlock machines, quilting machines, and sewing machine software. This company's reputation rests on not only producing high-quality machinery but also on consistent innovation in the field. The Janome Sewing Machine Company is a Japanese manufacturer of sewing machines and sewing machine equipment. Originally founded in 1921 as the Pine Sewing Machine Company, they also own the Swiss brand Elna. Like Bernina, Janome's reputation is built on innovation. They invented, for example, the first computerized sewing machine. Making exceptional-quality high-end dream machines for home and semi-pro sewing enthusiasts. If you want a Janome, you're going to shell out for it. But there's not a Janome owner alive who wouldn't swear it's worth the price. 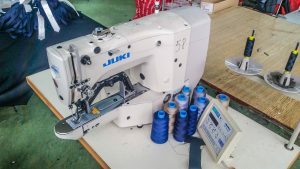 Juki started out making industrial sewing machines. 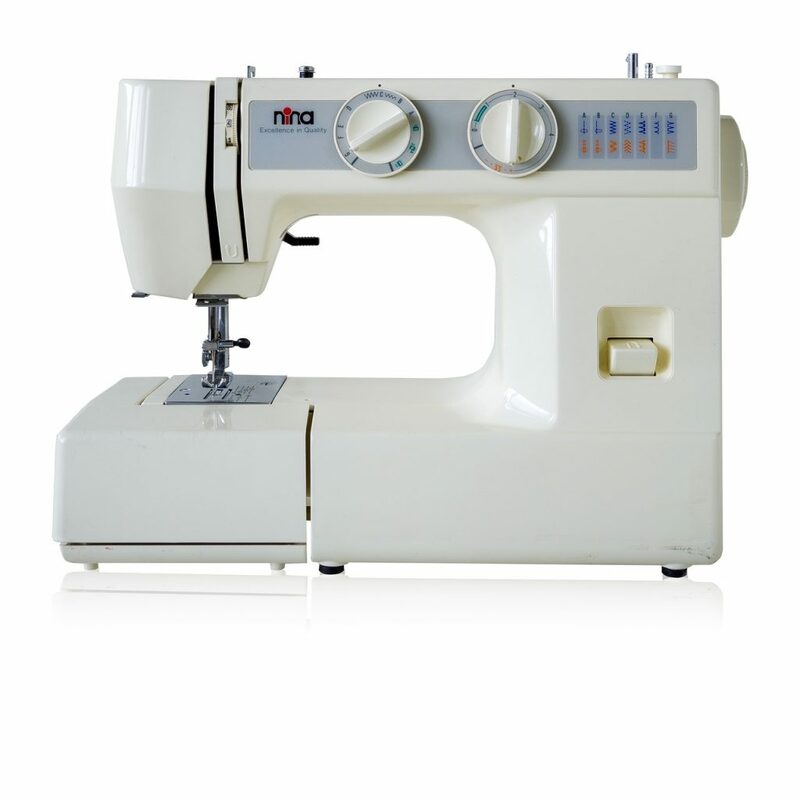 However, they have expanded their range to include a wide variety of semi-pro and home sewing machines. Their range of consumer sewing machines runs the gamut from mechanical straight-stitch machines to computerized sewing, quilting and embroidering machines, and even a few sergers. We touched on prices earlier on. If you're thinking about a basic home sewing machine, you're looking at between $100 and $350. A Semi-pro machine? That will cost you more than that — from $350 to potentially thousands, depending on the type of machine, the brand, and the specific model. And industrial machines? You'll be looking at thousands per machine. But what do you get for your money? A year ago, this would have been our pick for a mid-range machine. With the release of a few newer models, you can snap this one up for less than $200, and still get your hands on a fantastically versatile machine. 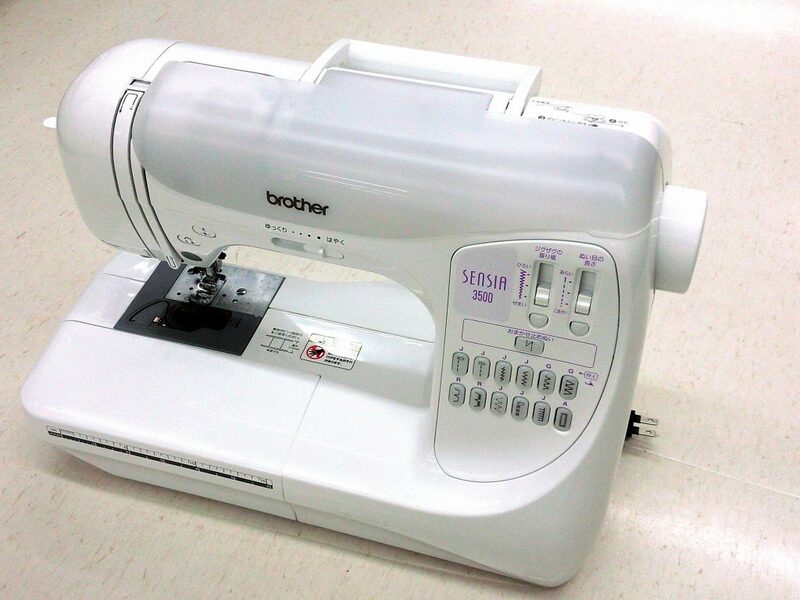 The CS6000i is an electronic sewing and quilting machine with 60 pre-programmed stitches and 7 buttonhole stitches. Also, the reviewers at Top Ten Reviews were impressed by how quiet it is. About as quiet as the sound of normal conversation. And it also comes with a wide work table for your quilting projects. If you're looking for a great machine at a budget price, give this one a look. “Mid-range” covers a lot of ground. For our purposes, we're going to call it between $200 and $800. Here's our pick. Coming in at between $500 and $600, this mid-range computerized marvel is one capable machine. It has a whopping 960 pre-programmed stitches, as well as 6 alphanumeric fonts and 13 built-in one-step buttonholes. The Quantum Stylist 9960 is a good second choice, especially for quilters. It's about two-thirds the price and comes with an extra-large extension table and 19 different presser feet. These are both great semi-pro all-around machines that will serve you well for many different kinds of sewing. Hands down that would be the Janome Atelier 6. It slices, it dices, it does your laundry! But it will give you everything you need to make clothes, quilts, and do quite a bit of embroidery. It's fully computerized and has monogram fonts in several different alphabets. It gives you a stitch speed of 1,000 stitches per minute, which rivals the speed of plenty of industrial machines. For quilters, there's a larger arm space, as well. And all this for just a bit over $1100! You could absolutely spend more on a high-end all-purpose sewing machine, but in our opinion, there's really no need to. With so many different types of sewing machines out there, it's hard to know which one to choose. But now you have the knowledge and the understanding of the market to make that decision. Sew, which one will you choose? Tell us all about it in the comments!